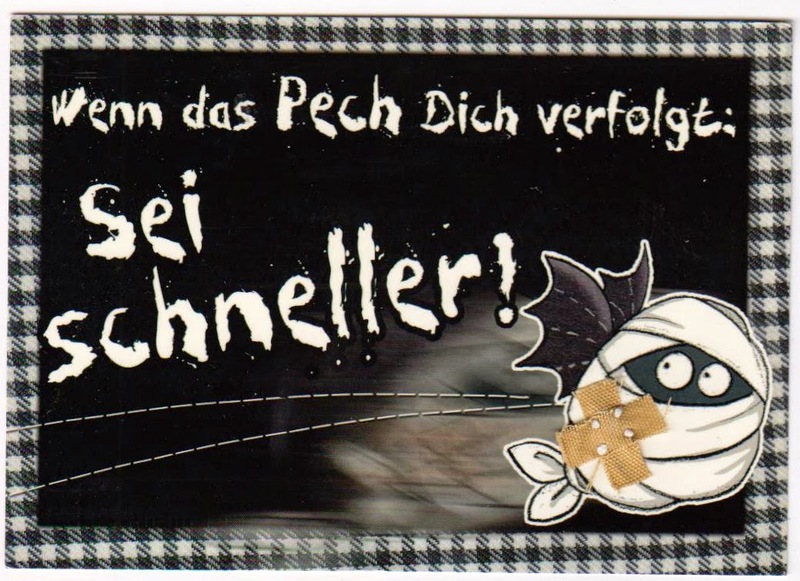 One Postcard a Day: Wenn das Pech Dich Verfolgt, Sei Schneller! Postcard DE-3846720 from Germany reads "When the pitch following you, be faster!" Dictionary.com defines pitch as any of various heavy dark viscid substances obtained as a residue from the distillation of tars. As a motivational card, it reminds you to stay away from bad influences.